Jason has been patiently wanting meat sticks and cheese for quite sometime and the truth of the matter is that I have never really given meat turned into sticks much thought. I was under the impression that they were a conglomeration of random meat by products and other mystery meats – I could not have been more wrong! Nicks Stick’s was generous enough to send us one each of 4 flavors to try including; Grass Fed Beef, Spicy Beef, Free-Range Turkey and Spicy Turkey. This is a simple snack that is as versatile as it is delicious and the beauty in these little sticks is their simplicity. Made of simple ingredients such as meat, water, (jalapeño in the spicy blends), Redmond seasoned salt, lactic acid and celery juice, that’s IT! Of the four varieties we received our favorite was Grass Fed Beef. The stick is solid and many times sticks can be dry and very chewy but these are tender, moist and fresh. The spicy flavors have a small kick to them but they are not over powering spicy. The turkey flavor is also very moist and tender and the spicy is not an overpowering type of spicy. Nick’s Sticks is named after the founding farmer, Nick Wallace. Nick, after surviving lymphoma, was inspired and his interest in natural foods became a passion and thus founded Wallace Farms. The grass fed beef used has nearly 5 times more Omega-3 then conventionally raised beef. The meat is healthy therefore the sticks are pure and healthy. 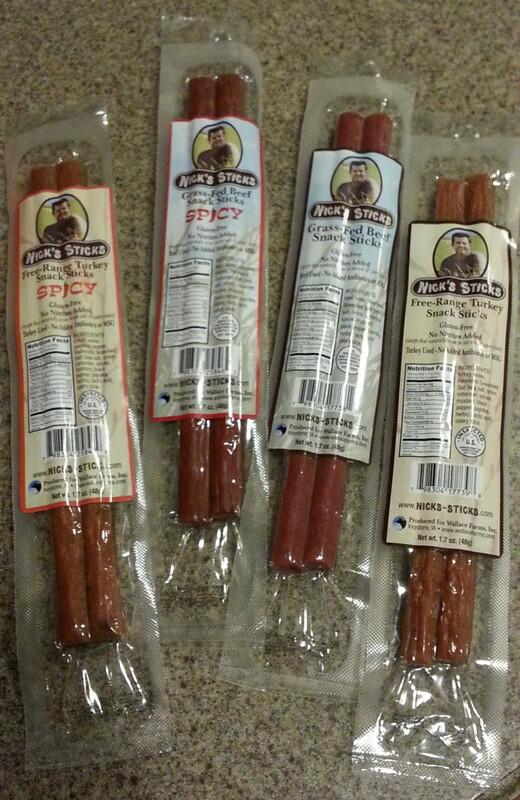 If you have a meat stick lover in your house I urge you to check out Nick’s Sticks – I promise you will not be disappointed. Let me start by saying that the products featured in this post were provided to me free of charge courtesy of Nicks Sticks. This post may have affiliate links but this in no way will influence the review to follow and all opinions are my own. GIVEAWAY: Nick’s Sticks is offering a 12 pack of sticks to my readers! (1) lucky winner will be selected at random to this 12 pack assortment of meat sticks . I will be randomly choosing 1 person on August 24 (8/24/2015) to receive dozen of meat sticks! Open to residents in the US only. To enter complete the entries below! Winner will be notified by me by email and prize will be fulfilled by Nick’s Sticks! Remember you have 48 hours to claim prize, or I will choose another winner. GOOD LUCK!!! This entry was posted in Food and Drink Products, Giveaways, Gluten-Free, Reviews and tagged Gluten free, Meat Products on July 23, 2015 by Jennifer. I will take Nick’s Sticks as I ride the rails. I will take nicks sticks to our weekly beach outings. These would be great to take when we go to the lake! I will take them to work. They will be going on walks with me to the lake. I will take nicks sticks to the casino. 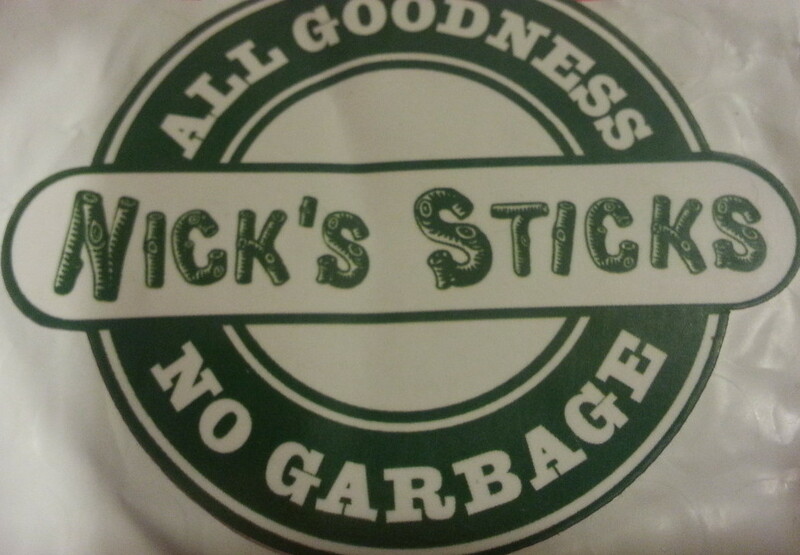 I will take Nick’s Sticks when the teen and I take road trips to prevent mindless food! They’re convenient enough for me to take to work. I would take them to work, as a snack! Thank you for the witty response and made someone smile. Thank you! These would be awesome to take on our big camping trip this fall!! Where will you take Nick’s Sticks? I would keep them in my purse so I can just grab one out as a snack when I am on the run. We love to take road trips and one of our favorite road foods is beef sticks, we are planning a trip to the Oregon coast that’s were we would take Nick’s sticks. I will take Nick’s Sticks on road trips for snacking. I would take them along when we go hiking. Hiking with my family at Northrup Canyon. I was curious where Northrup Canyon is in Washington! We have family in Blaine Washington – beautiful up there!!! I’d take them to the beach! I will take them on road trips and when I go camping. They look delicious. I would take them to work for my break. I’m getting my Nick’s Sticks together and taking them on the road. I’ll take the sticks to my office and share them with peers! I would keep them as snacks for the afternoon. Oh these would be great to go to school in lunches! I will take them in the car on long rides to avoid having to stop somewhere. We will eat them as a snack or for lunch. I’ll take them on road trips! I will take them to the park, to work and the couch! We would use these for a quick snack on our hikes! I would take them with me when I go hiking with the kids. I would take them to work with me. I will take them to work with me for a snack! I will take Nicks Sticks camping. No where, I’m keeping them at home with me so no one wants to share. Nick’s Sticks are perfect for road trips! We drive to Vegas from Tucson and snacks like these are a must-have! I would take them to work and also on road trips. They’ll go to work with me and hang out in my desk, for those times when I have to stay late! I will take them to work with me!! I will take Nick’s Sticks to work to have as an afternoon snack! I’d take them to Lake Michigan!! I will take them out on the boat when we go fishing. I would take them on a trip to the park! We will take these along with us on our weekend trips! I would take them on a picnic. i would take these on roadtrips for the kids ! I will take them with me when I go hiking and camping. I’d take them on the go. I’d take them to work for snacks. I would love to have the PRAIRIE FIRE TURKEY JERKY in my box.